GBBG (2nd plumage cycle). Whiting, Indiana. 27 May 2014. 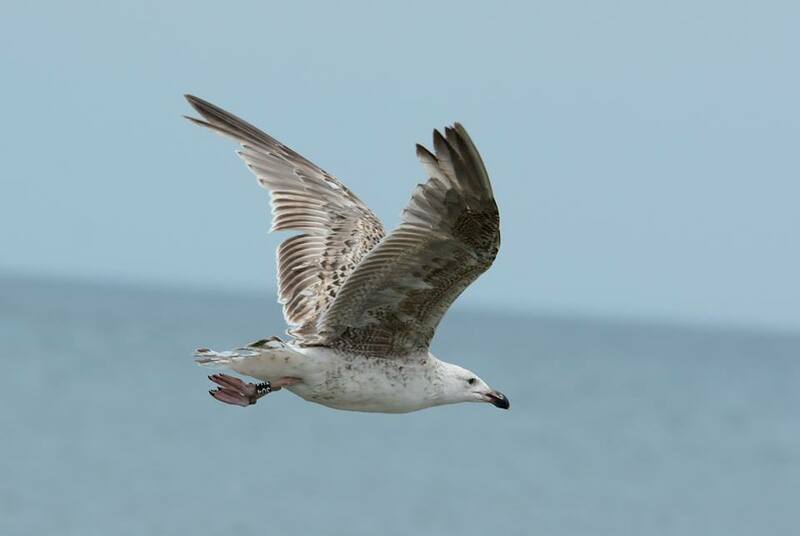 Hatched and banded on Appledore Island, Maine (banded in July 2013). 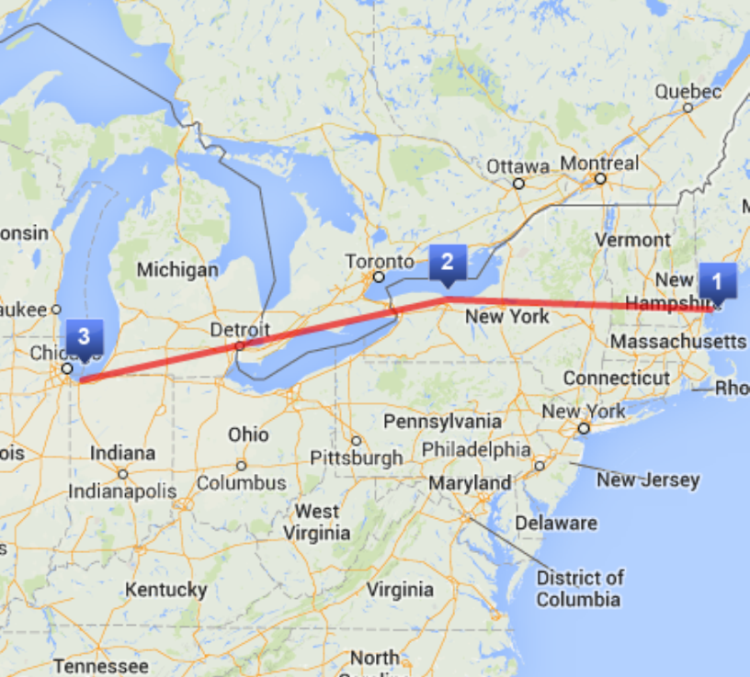 A resighting in September 2013 was reported from Rochester, New York (Lake Ontario). 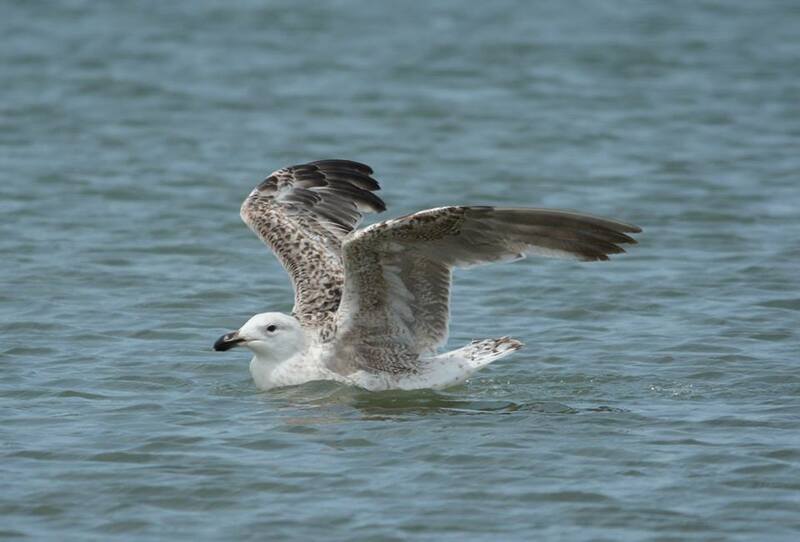 About 1,000 miles from where it hatched, this 1st summer bird will likely remain on southern Lake Michigan for the rest of the season. It will be interesting to see if it returns in subsequent years. Very intriguing is that the Hamilton Lake Watch near Rochester reports that Great Black-backeds are almost always seen migrating "westbound" in late Fall. Perhaps the increasing Lake Michigan winter population is one that exhibits an east-west migration, and doesn't originate from as far north as thought by some. Well into its 2nd prebasic molt (p1-p4 renewed, p5-p6 dropped, inner secondaries dropped). Great Black-backeds begin their PB molts relatively early in the spring, faster than most other large white-headed gulls, and this bird is quickly replacing its inner primaries. I must say, I'm very impressed by the banding efforts of Dr. Julie Ellis and her colleagues on Appledore Island. Many of their Herrings and Great Black-backeds have been reported all throughout the eastern United States, and even as far south as Flordia and the Texas Gulf Coast. 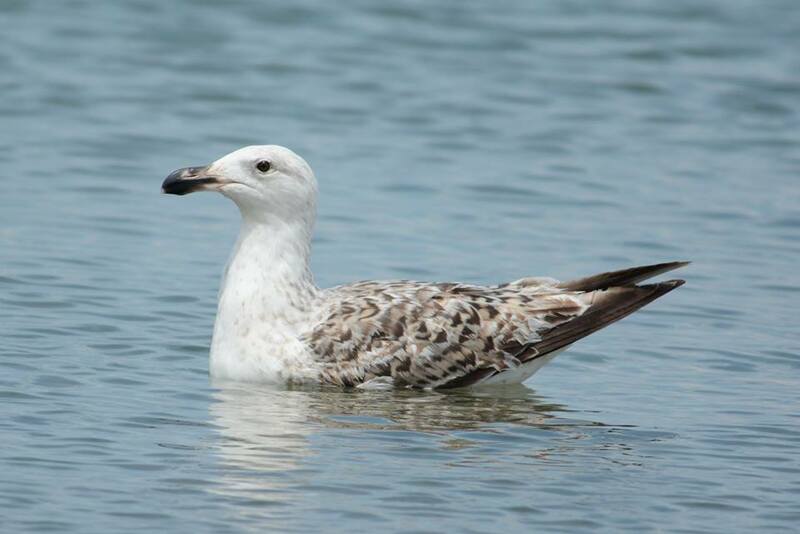 Recall that Appledore Island was made famous when an adult Lesser Black-backed Gull (Green F05) was found there for several years hybridizing with an American Herring Gull. The data from Appledore has revealed valuable information about age distributions, migration limits, site fidelity and molt progression in these North American species. To read more on the Gulls of Appledore, click here. It's no mystery that these large color bands seem to be the reason for so many resightings by ordinary field observers. The color bands are gaining popularity with multiple banders throughout the Great Lakes region and as far as St. John's in Newfoundland. 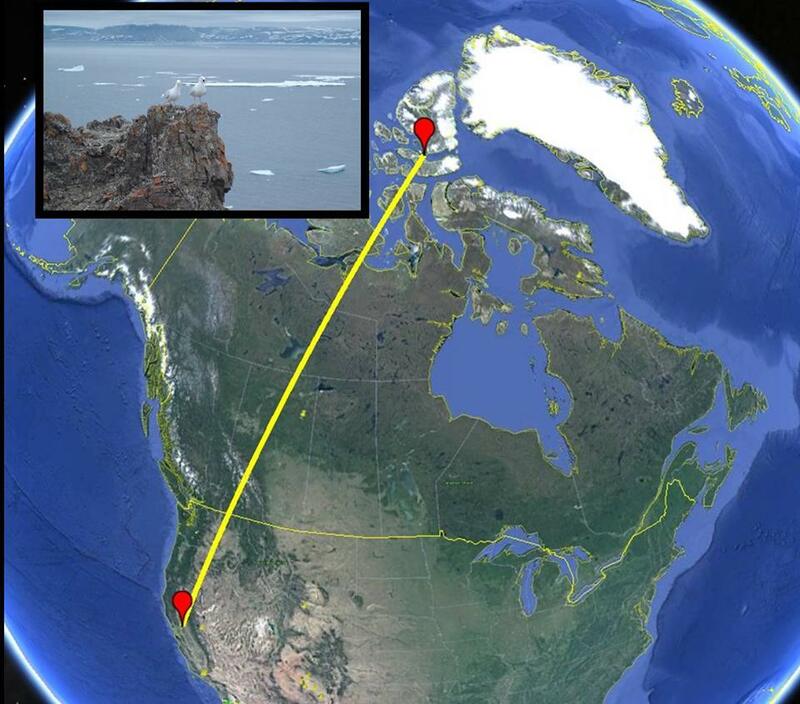 Most impressive is Canadian banders now using these colored rings on Thayer's and Glaucous Gulls near the Arctic Circle, such as the adult Thayer's that Steve Hampton spotted back in January of 2014. I met up with Steve at a landfill in Yolo County, California where he promised me my lifer "California" LBBG. After easily checking off the Lesser and picking through some more gulls, Steve unexpectedly states, "I have a banded Thayer's Gull"! 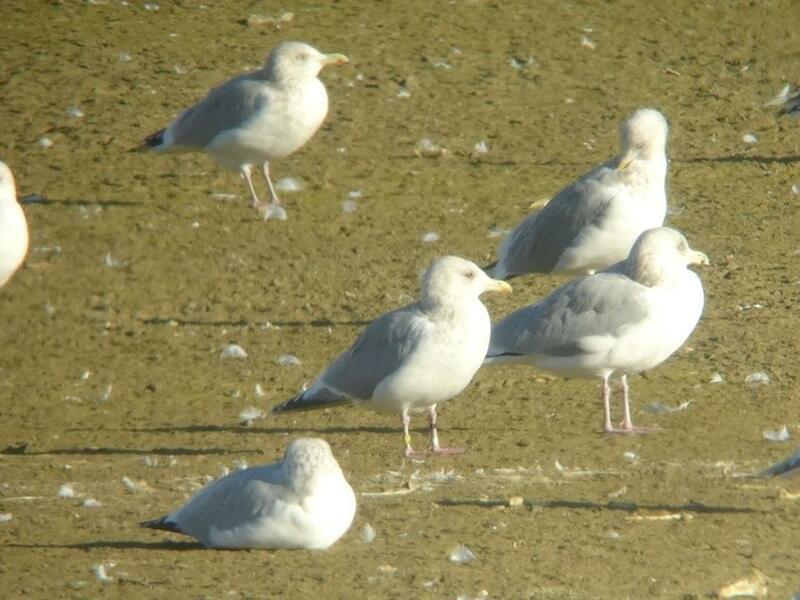 Adult Thayer's Gull with yellow band on right leg. 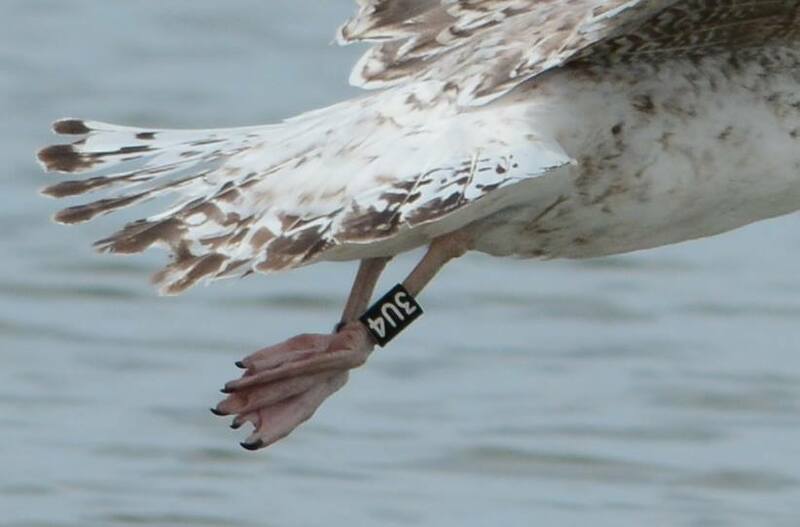 Banded on St. Helena Island in the arctic. January, 2014. Photo by Steve Hampton. We were both awe-struck, not because he spotted this band from over 150 yards away, but because it's the first banded Thayer's either of us has seen. Map showing location sighting of adult THGU (Yolo County, CA), and banding location on St. Helena. It's my hope that more and more biologists and ornithologists consider using color rings. 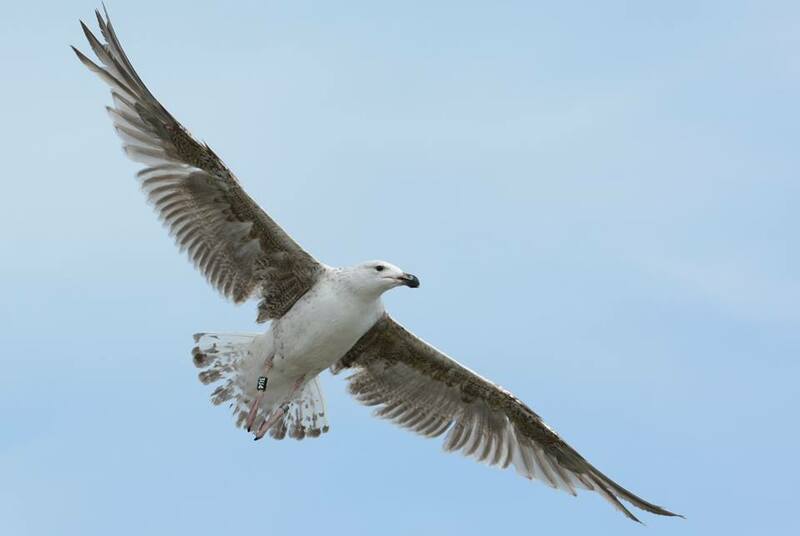 Much remains to be learned about our North American Gulls, and it must be said that without ringing programs that involve more input and resightings from ordinary observers, the bigger picture will never be known. Using large color rings is win-win for every party involved. If you're interested in using these bands, and would like help in funding their costs, please contact me! Thanks Amar for the blog sharing this fascinating information. After receiving a call from Amar on the 27th of May, I went to the Whiting refinery beach about 3 p.m. and a woman was driving a four-wheel dirt bike, or whatever they call it. She was just driving from one end to the other constantly scattering the gulls on the far east end. After we talked, she left with her husband, who had since arrived with a container of gasoline to race the beach longer. I watched for an hour in peace and didn't see the 1st cycle GBBG. I saw a Caspian Tern and 2 Spotted Sandpipers in the group of mainly Ring-billed Gulls..I checked the Hammond Bird Sanctuary beach and didn't see it there. There was a thunderstorm that night and the next day, 28 May, 9 a.m.I walked the Whiting refinery beach and felt the northeast wind and saw the waves covering the beach. There were only about a dozen ring-bills and only one Herring on the beach. That's a shame. I noticed they constructed a gravel ramp at the beach entrance. Is this for ATV's?